How many times have you heard people talking about a prawn cocktail after they have been out for dinner or lunch, and you are envious because you know your budget just won't allow this bit of extravagance. Well......we at Home Cooking Haven have a great recipe for this starter and what's more it is not as expensive as you think. 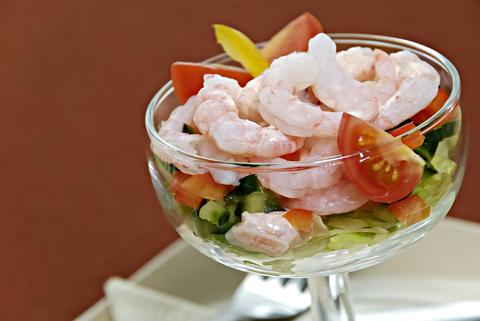 With this Prawn and fish recipe you can entertain your friends at home without overspending. All of us that work on this website have served this as a starter to our families and friends on special occasions and everyone agrees that once you have tried it, you will soon find that no one ever gets tired of it, and you will use it over and over again. 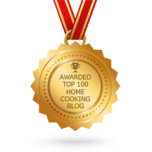 400g cooked peeled headless prawns (in this recipe each serving should have 4 prawns). 1 level tsp tomato sauce. 1 small lemon (TIP: Lemons have excellent healing properties, one is that it is rich in Vit C which helps with relief from the symptons of colds and flu. Right.....we have all the ingredients for our prawn cocktail, we are ready to start. (my mouth is starting to water just thinking of it). And while we are at it, just bare in mind that these ingredients will serve approx. 4 to 6 people, and will probably not take longer than 45 minutes to prepare and clean up, and then another 5 minutes to plate. Place a medium pot of water on the hob, add the hake (no need to thaw if frozen), onion, bay leaf, salt and pepper to taste. Cook until flaky, about 10 minutes. Drain the hake and place on a dish to cool off (no tasting at this stage he he he....). Place the required amount of prawns in water and bring to boil for 4 min (see tip below to stop the boiling water from overflowing). Mix the mayonnaise, tomato sauce and worcester sauce in a bowl. Add a splash of tobasco sauce, salt and pepper to taste, and put into fridge to chill. 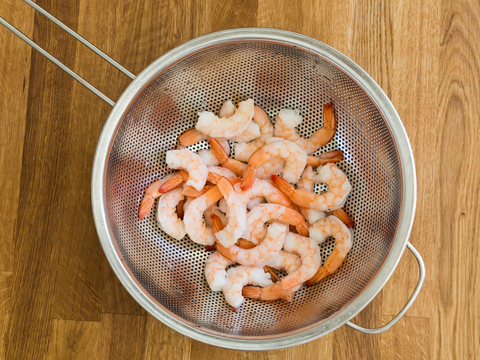 When boiling prawns or fish, to stop it boiling over and messing up your hob, place a wooden spoon in the middle of the top of the pot, sit back and watch how well this works. If the prawns have to be de-veined, take a small thin bladed scissors and cut the prawn the whole way down the back. Put the blades of the scissors underneath the vein in the middle of the prawn and pull the vein out. This is even easier if the prawn is still slightly frozen. Shred the lettuce and place in the bottom of your serving bowls ( we like to use a wine glass as you can see exactly what is in the cocktail). Flake the hake and add half the dressing and mix well. Divide the fish mixture as described above equally and place on top of the lettuce. Place prawns on top of the fish mixture. Pour the remainder of the dressing over the prawns and drizzle with squeezed lemon juice. If you want to "dolly" it up, then sprinkle with a dash of paprika, place a slice of thinly sliced boiled egg on top and decorate side of the wine glass with some quartered cocktail tomatoes. WELL DONE you have now created a cocktail to compete with any top "fancy pants" restaurant. We hope that you have enjoyed making this cocktail as much as we have enjoyed sharing the recipe with you. Enjoy and God Bless.